Use masking tape to form a square in the middle. 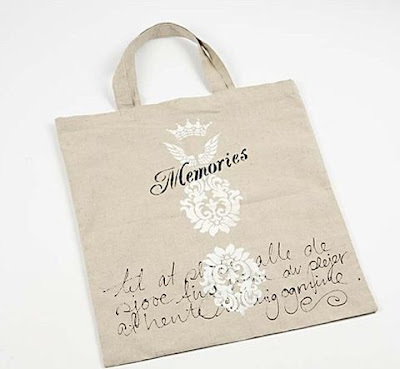 Arrange the self-adhesive foil stencils onto the bag and dab on the paint with a sponge. Iron-fix the bag with an iron for 5 min. at high heat. Put a piece of grease proof paper between the fabric and the iron.